We’re on to Niche Idea #8 now so it’s probably a good time to say that the worst thing you can do when looking to have success online is jump from project to project without giving any idea a chance to be successful. If you already have some web project you’re serious about and focused on, please don’t let ideas like this one below distract you. Instead, please try to view these updates as inspiration for marketing ideas, monetisation options and angles you can take with your current project. 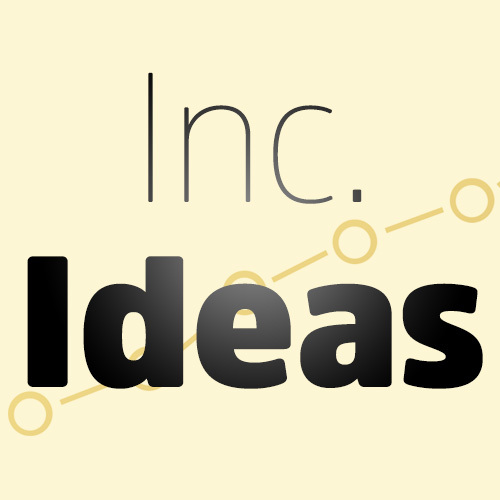 A lot of the inspiration I get for this inc. Ideas series does not initially start with my own thinking. Often, I see someone else has had some success with a certain idea or angle and my brain goes into overdrive about how many other applications, in other industries, that idea could have. For instance, when I first heard about Scott de Long having success with Viral Nova two years ago, I started writing about the topic and have since helped hundreds if not thousands of people make money with their own viral-focused sites. I didn’t just look into what Scott was doing, but researched the industry as a whole and went full-blown analytical on why certain posts of his were going viral, where the content was sourced, and even got him to answer a few questions via Twitter. Scott more recently sold the site for $100,000,000 (that’s $100 million), so you never know the potential some of these ideas could have. Similarly, when I started seeing more and more people have success with the ‘monthly box’ subscription model from niche #2 – where people would receive physical items around a specific topic once per month – I researched it day and night. I found people having success with this model who were selling fitness products, cool stuff for gamers, items for parents and even those who proclaim to be obsessed with bacon. I took both of these initial ideas, which originated from a single source, and helped people to see how they could use that idea and apply it to countless industries to have success online. Well, I recently found another such ‘core’ idea from a single source that I believe anyone reading this can use to branch out into hundreds of other industries. More specifically, industries that interest you. It’s such a good core concept that I’ve decided to put on hold every other niche idea I have planned (at least ten over the next 11 weeks) and share it first. While, again, the main idea is not mine, I see so many practical applications and ways for this idea can be implemented that I will never write a single niche idea again if people reading this aren’t able to make money with it. Startup-costs are very low: Once you have a niche in mind you wish to conquer, all you really need is a domain name, a host and a way of emailing people. You don’t need to build a full-blown website: In fact, you can likely have success with this venture with just a one-page website, though I do recommend building out your site at a later date. You don’t need to (entirely) produce your own content: I’m not talking about stealing articles from other websites – there are no articles involved here – but ‘data mining’ other sources to find the type of information your audience will be interested in. Monetisation is built-in and not a secondary consideration: This is not some model where you look to build a huge audience and then figure out how to monetize that audience later on. There are very obvious ways to make money with this from the start which make total sense that people would pay for. These four qualities combined essentially create a dream scenario when it comes to starting a new online venture. Perhaps it even sounds too good to true. Let me reassure you that I pushed this particular niche idea to the front of the queue for a reason — there is gold to be found in the following chapters. Let’s start with the original source that was the inspiration for this idea and then I’ll get into other practical applications on how I think you could succeed with this. In true ViperChill-style, I’ll cover all aspects from setting up a website right down to getting your idea out there in front of an audience. Please keep in mind while the original source for this idea is “only” making around $1,200/m, they made over $6,100 in their first three months and I expect they’ll soon be making a whole lot more. There’s also a clear opportunity for all of the content finding (or data mining) to be outsourced for a far more passive income. I truly believe there will be people who take this concept to new heights and bring in far more money than this original example. One of the many resources I use for finding new niche and website ideas is the Reddit sub-Reddit, r/Entrepreneur. I tend to learn very little from their discussions on marketing and SEO, but always love seeing the random ventures that people take on and have success with. One such venture, is a by guy who started a website called “How to Fly for Free”. In his revealing r/Entrepreneur post, he shared how he has grown an email list of 3,544 free subscribers and 654 premium subscribers who pay $2/month to receive additional mails. He also has a yearly pricing option at $19/year. Essentially here’s what he does: He finds very cheap flights around the world – sometimes due to mistakes made by airlines – and mails them out to his email list up to three times per week. So he’s sending 3 emails per week and making around $400/week in return; a revenue figure that is constantly increasing. People stay on his email list – which I think is far too cheap at $2/m – because finding a cheap flight through him could save them hundreds if not thousands of dollars. These would be cheap for one way flights but in fact these are round-trip prices from the USA. It is such a great idea on its own, but I can just see this concept taking off in so many other ways. I’ll get to those in a moment. Of course, another benefit of finding great ideas on r/Entrepreneur is that the other users of Reddit asks questions and give us further insights into what an individual is doing. Here are some of the things we can learn from his mini-AMA. I personally think this is very smart and don’t see affiliate links being a better option. Keep in mind that this ‘luck’ would have been impossible without having the idea, building the site and putting in the action. You’re looking at this in the wrong way if you think a mention on a tech blog is the only reason he was able to be successful. Now, I’ll be the first to say that deals or coupon sites are nothing new. There are even some of these deals or coupon sites that are tailored towards specific industries. However, I love that this approach relies primarily on an email list rather than posting public deals on a website, and the premium email subscription list option makes a lot of sense. In his AMA he mentions that the email software he uses is Mailchimp (free for up to 500 email leads) which he says plays very nicely with the Stripe payment processor. Another option would be to link up Aweber and Paypal if you use other services already or Stripe isn’t available in your country. From his website we can see his is very consciously pushing the paid option – the free option is only a small link underneath – and then uses FormCrafts.com to link them all together. Smart, simple, and a site that could easily sell for a 18-24 month multiple of his current revenue due to how much entrepreneurs love sites earning money via recurring subscriptions. I could see him potentially getting tens of thousands of people on his list if he keeps working on marketing though so I definitely wouldn’t suggest selling any time soon. Ironically, when trying to find the original thread on r/Entrepreneur again, I accidentally clicked on the wrong search result and found someone who was doing something almost identical: Trying to send people email alerts about very cheap flights. While that doesn’t imply no revenue at all, he does mention in a comment further down he has “zero dollars” to invest further in the project. I don’t personally have the skills to create such a deal finding system with software – and presume you don’t either – so let’s look at the first part of the equation. After all, he attempted to make money with an email list about cheap flights, yet seemingly failed to do so on any level. Even at a quick glance, I can see some obvious things the owner is doing wrong with this site that must have hurt his original efforts. When I click on Find Your Next Adventure – the main button on his homepage – I’m asked for an email address and password to sign-up for something when I don’t really know anything about. The second featured flight on his homepage is from Paris to Harare. Not only have I never heard of Harare (it turns out it’s in Zimbabwe) but I can’t imagine a huge portion of his visitors are able to fly out of Paris. He puts emphasis on having 56 updated flight deals which probably means 56 individual trackers but makes you think he only has 56 flight offers at first glance and with that small a number, it’s unlikely to think that any would apply to your current location or at least desired destination. The list goes on, but you get the idea. Just because someone has had an idea before, it doesn’t mean there isn’t a far better way to going about not only promoting your service, but getting people to use it as well. While it’s important you target a niche that has personal interest to you, I wanted to help spur along your brain juices with some potential applications of this model to other industries. Think of all the baby products that people buy in the run up to a newborn baby. You’ve got toys, clothes, diapers, food, cots, baby monitors and so on and so on. Having a baby is expensive. Expecting or new mothers would love a newsletter that regularly let them know about the best offers around the web to find out exactly what they need before the new addition to their family arrives. The market for this is huge also. In the US alone it’s estimated that there are 7 million women pregnant right now. Anyone who is dedicated to getting and staying fit – both men and women alike – will likely be stocking up on things like Whey Protein, Creatine, BCAA’s, Pre-workouts and multi-vitamins. I know a lot of people who would sign up to an email list that might save them money on their next order right this second. If you could find them good enough deals they would probably order a lot in advance. In fact, I have a friend who runs a very successful protein discount service following a similar model (though it’s only targeted to the UK). Companies like Chanel, Dior and Maybelline aren’t going out of business any time soon. The sales of makeup, perfumes and fake tans are higher than they’ve ever been, and they’re items that will be purchased over and over again. Could you be the one to create an email list which shares the hottest deals women can use to take their beauty regime to the next level, on a budget? Think about people who build RC planes. People who play around with Drones. If you can find deals about anyone’s particular hobby you could be on to a huge thing. My first thought for this angle was to be focused on tracking the online marketplaces for games which exist today such as Steam, Amazon, the Playstation Network or the Xbox online store. However, this could definitely be taken a step further by finding great offline deals in places like Best Buy, Target, Gamespot or other physical stores you have in the country you’re focused on. Video game enthusiasts are spending up to $700 per year on gaming according to research by IGN. With new games coming out all the time – and game developers happy to slash prices now and then (especially on Steam) – people will pay to save money on titles they were likely going to purchase anyway. This means if you speak another language or you’re based somewhere else where people have larger travel budgets (like the UK, Australia and Canada) there would be no reason you couldn’t create a competing service and do very well with it. I asked one of my business partners to help me brainstorm even more ideas for this and honestly they just kept flowing. Instead of dedicating a paragraph to each I just want to ‘crank them out’ and list a few here which will hopefully give you some ideas. Pet accessories / food: We’re constantly buying food, toys and sometimes even medical care for pets. Why not help those who are save money? Camping equipment: Hiking boots, tents, knives and meal replacement pouches are a few items that come to mind that people in this category would like deals for. Sneakers: If you’re not into collecting sneakers (like me) this might seem like an odd industry until you realise how many dedicated blogs, Facebook pages and Instagram accounts there are to specific types of trainer. Children’s items: Such as books, clothes, uniforms and school necessities are just a few of the things parents purchase regularly that come to mind. Through some quick searching we found some $2.99 books selling for 10 for $10 by mistake so that one email I could send is a $19 saving. DIY equipment: You might want to be more specific here to target a certain trade but browsing your local Home Depot will give you a lot of ideas here. Hopefully some of my own recommendations got your ideas flowing, but don’t be afraid (I actually highly recommend it) to start thinking of your own as well. As with every niche idea I am to share, I never just want to give you some kind of fluff or theory. Instead, I will try to lay out detailed action-plans that give you something to follow when you’re (hopefully) fired up after reading this. As mentioned earlier, deals sites or coupon sites are nothing new. While there are variations of these sites set-up to cater to specific industries, they’re far rarer than their generic alternative. In one of the images I used earlier I highlight a site called ‘Thrifty Mom’ which, as you can probably guess, is a deals site for all things that mom’s may be interested in (food coupons, home cleaning offers, crafts for kids, etc.). To me, just targeting mom’s is too generic for this project. Instead, focus on a sub-niche such as online food deals, home cleaning offers or crafts for kids. Don’t worry if you find that there are other people doing it and you’re worried about competition. Other people in the space simply shows that there is a market for it. Besides, you shouldn’t be thinking about competition. Only about dominating your space. I say this over and over and over again so let me keep this one short, even though it is very important: You have to care about the subject. Part of the reason I put this niche idea to the front of the queue is that there are so many industries it can work well with. Don’t limit yourself by just choosing an example that I shared on this page if you aren’t actually interested in any of my own ideas. The main reason I stress that you should focus on an industry you care about is because you’re far more likely to stick with the project and see it through to success. I don’t make any money if you fail miserably or succeed past your wildest dreams with these niche ideas. But I do like receiving great testimonials via email, so trust me on this point and then send me a testimonial down the road. One of the benefits of this Inc. idea is that you don’t have to build a full-blown website before you can test if the concept actually has any merit. In fact, a single page which you focus on driving traffic to is all you really need. “But Glen, you said I could just build a one-page website“. FreePrivacyPolicy.com can make the page for you in minutes so yes, you only have to create one page ;). I would recommend creating the site with WordPress (the .org download version, not the .com site) since it’s arguably the best free CMS on the planet and certainly the most supported. The theme I use on VIPNicheIdeas (don’t enter your email if you already received the link to this page via email) is called Classica. The reason I like it is because it was very easy to transform into a squeeze page which is exactly what you should be looking to do with this project. It seems like the price has increased to $59 since I purchased it myself so if that’s out of your budget, don’t worry. I’ve got your back with this free squeeze page template I released a couple of years ago that still works perfectly fine. This is the part that gives your email list massive value, so please don’t rush this section. In fact, I recommend spending as much time on this as you can, in order to deter the competition and have amazing value to give your audience. Generic Deals Sites: While I’ve already recommended you be far from generic when it comes to your site, daily deals sites like Groupon and Living Social have categories dedicated to everything from baby powder to watches (which I’ll use in a few examples). TheTracktor.com: This is a tool that allows you to enter any Amazon product and look at its price history over time, finding great deals and even being alerted when certain prices drop. They have a great browser extension that shows you price history right on an Amazon page. CamelCamelCamel.com: Similar to Traktor it not only scans Amazon but finds you the best prices of anything, such as watches, on other websites as well. Google Searches: A simple search for ‘watch deals’ allowed me to find a Puma Watch on WorldofWatches.com for $54, $16 cheaper than it is on Lyst.com or Walmart.com. This was just after checking the first page of results, so I’m sure there are bigger savings to be found on more expensive watches. Deals.Ebay.com: Is another great source to monitor if you’re promoting physical products to your email list. The Invictus S1 Rally watch is currently being sold at $69.99 with a huge discount from its original $795 price point. The first result in Google lists the watch as $181.99 which is still nearly triple the eBay price. Twitter Searches: If anyone has just found a great deal on something there’s a chance they’ll talk about it. Twitter searches like [“Great deal” “watch”], [“discount” “watch] and [“so cheap” “watch”] without the square brackets could be great places to start. Through some quick hunting here I found that Sears in the US were doing some great deals on watches at the moment which may be worth looking into. Slickdeals.net/pricetracker/: Will not only let you track items on their website but also send you email alerts whenever an item has a significant price drop. Add a number of options in here and then sit back and watch your inbox for any great deals to send out. Depending on the industry you’re going to enter, it’s important, again, to take your time with this. There are going to be far more sites for you to monitor – such as niche tumblr blogs or other trackers you may find – based on your particular focus. For instance, in the gaming world there is a great website called CheapShark which shows the top deals on certain gaming stores as well as having a Chrome extension to helping make sure you get the best gaming deal. They seem to put very little focus on their email list however – it’s buried at the bottom of their footer – and instead make money by getting commissions from some websites if games are purchased through them. If you really wanted to take this concept one step further – and those who are willing generally have the most success with these niche updates – then there’s no reason you can’t get a programmer to code up a version of CheapShark for your own particular niche as well. I really can’t imagine it being expensive. The Chrome browser extension seems to be a popular option for many deals sites and it’s something I can’t imagine being too difficult to make once you have all your price sources already. I definitely prefer the monetisation options of running an email list, however. The route I would take if I had time to follow this idea seriously is to get some form of tracker coded up but simply use it internally so I save time finding deals and have awesome offers to email my list that they would have a very hard time of finding on their own. Once again I’ll keep this section fairly short and to the point since you can see it written about all over the web. Don’t “just” create an opt-in form. Once people opt-in, make sure they’re automatically redirected to a page on your site which thanks them and reminds them to check their inbox to confirm their subscription. This re-direct feature is already built-in to the free squeeze page I mention above. Then you also have the opportunity to redirect people to a page on your site after they click on that confirmation link in their inbox. While you can certainly test this as time goes on, I would start by simply sending them to a page which explains a little more about your site and your mission, then tells them to go back to their inbox to get the first free deal. Don’t rush to this section if you haven’t put in the time on the last one. Your first free emails, which you should add to a follow-up sequence if they aren’t time sensitive need to be incredible. I can’t stress that enough. The previous step will separate the girls and boys from the men and women. Whenever I wrote about viral news sites I instantly had people saying ‘the market is too crowded‘ or ‘Facebook have made this impossible after changing their algorithm‘ yet those that just took action and did something emailed me not too long later with their success stories. Similarly there were people saying the ‘subscription box model’ was over-saturated now that people were talking about it then there’s a guy who creates Musclebox.me and makes $1,000,000 in just the last 6 months – long after people said the opportunity is dead. Only you can decide which it is. For most people, if you found yourself in this situation, I’ll assume the latter. I wouldn’t be surprised if it takes a week or two of a few hours per day to find great deals. Especially when you’re starting out. You’ll speed up the process – and be able to outsource it – later on once you learn more about where the best deals are to be found. While I haven’t followed this particular strategy myself, I would set-up your first deals to go out twice per week on weekdays. That gives enough value to your audience without overwhelming them and means you don’t give away too many great deals before establishing whether your business idea has merit. Once you have your three weeks of emails set-up (six deals), it’s time to start thinking about a paid option. Some of you may be thinking that I have missed a step before getting to this point: Actually finding users for your email list. If you want to go and try to do that first, feel free. I personally think it should be done after the paid option is introduced. First of all, by the ease or difficulty of finding great deals for your free emails, you’ll already know if there is a viable opportunity to be able to follow this business model for a significant period of time. If you found great deals and have your free emails set-up, there’s potential. You’ve also hopefully picked an industry you’re interested in, so if you’ve created the kind of content that you personally would be interested in, that’s also another sign of great potential. And finally, I believe the more you put into this at the start the more likely you are to stick with it when it comes to growing your audience in the next step, because you know every single person you add to your list has the potential of making you money from the start. As far as payment processors go, I would stick with the obvious options like Paypal and Stripe. People are used to paying for online services with these processors so you aren’t likely to lose customers say for example if you only offer payment via credit cards and your own merchant account. Keep in mind that the owner of How to Fly for Free introduced an annual option due to the fees he was getting on $2 transactions which may be a smart idea to replicate. I would introduce a monthly fee to start with at anywhere up to $10/m and not go higher than that. You can always increase the price later, but it looks bad if you decrease it later (especially for those who are already paying a higher price). The bigger the savings people can get from your list, the more likely they are to pay a higher price. Just don’t price it too high that if people don’t find a great deal to take advantage of, they think they’re wasting money. I think the $2 price point works well for the Flying Site because you can justify to yourself “it’s just $2” if you don’t take advantage of all deals. Add the paid option to your homepage along with any customer testimonials you have from the free emails – this can come later – and then casually mention the paid option in any free emails you send. I see no reason to change the business model of emailing the free list just once per week or once per fortnight (possibly multiple deals per email) and then emailing the paid list better deals and more frequently. Facebook Advertising: Set-up $5/day campaigns on Facebook to test the waters for your specific industry. Facebook is perfect because it allows you to be very specific about your targeting. For instance you can target woman who are pregnant, people who have a birthday coming up or people who are getting married in less than a year. Create both Like ads (to your page) and direct to website ads to see which perform the best. The like ads will allow you to target your audience again and again for a lower price in the future so don’t worry about “wasting” cash if they don’t work out too well. Instagram Marketing: I recently mentioned on Facebook (follow me!) that I’ve been spending a lot of time on Instagram. I’m getting a ton of leads on profiles I’m building up. Most are growing manually, but for some I’ve automated the process with tools like Instagress. You can target particular hashtags for your industry so things like #pregnant, #cheaptravel #gamergirl #proteinlover could all point to potential users of your service. Follow anyone you think would be interested in your offering and like their photos. Send Influencers Free Deals: Whatever industry you’re building your site for, there are no doubt going to be popular bloggers, ‘instagrammers’, and Facebook pages for that niche. Spend some time to identify who they are on various networks – not only including the ones mentioned – to get a better idea of your potential audience and people you may be working with in future. Then, asking absolutely nothing in return (this is important), share with them some of the best deals you find. “Hey I thought your audience might be interested in this”. Make zero mention of your own site, and happily link to others. When you’ve done this enough – making sure the deals are very good – you can start talking about how you created a site to chronicle your findings. Forum Marketing: While I admit this is a very boring and tedious process, sharing a deal inside a popular forum can send hundreds if not thousands of people over to your website. The boring and tedious part of course is building up some kind of ‘profile’ there before you decide to drop in any links. The good part is that established forums tend to have their threads ranking well in Google, so the right topic, coupled with some good search traffic, could plant the seeds that send you leads for a long time in the future. Instagram Shoutouts: I mentioned earlier that I have been playing around with Instagram more and more and if you’re focused on an English-speaking audience, you can have a lot of success with their audience. I’m not talking about Instagram ads, but reaching out to potential influencers to see if they would be willing to talk about you for a small fee. Surprisingly or not, Instagram users do share their email address after clicking on links from images. There are many case studies online if you wish to take a look. BuySellShoutouts.com and IGShoutouts.com seem to be the most popular offerings to get people to talk about you if you don’t want to contact people manually. Popular Sub-Reddits: As with being active in forums, it’s going to take time to build a bit of a ‘good-standing’ in the community before you benefit from it but there’s no harm in starting now to get the goods later. After all, the time is going to pass anyway. In Niche Idea 1 – found here – I wrote about the best way to ‘infiltrate’ Reddit in an ethical manner by providing value to their audience. SEO: If you’ve followed ViperChill for any length of time then you’ll know that I’ve always been an SEO guy at heart. While you’re not going to be getting much traffic if you’ve just put together a one-page website, there’s no reason you can’t create dedicated pages for some of the better deals you find and try to rank for their long-tail keyword variants for more traffic further down the road. What you may find if you put the work in is that none of these options (besides maybe IG shoutouts and Facebook ads) actually do very much for you. This is where it pays to find the best opportunities for your specific industry. I know in some industries I operate in I have made a certain connection that continues to promote me, or I find a blog to comment on regularly that sends a lot of visitors regularly. Put in the work and you’ll find these little obscure angles and sites to send you more visitors going forward. Because you are going to be primarily focusing on building an audience to your email list, try to think of ways to reward those who share your list with others. For instance you could offer a free ‘paid deal’ to anyone who Tweets or Facebook shares your squeeze page or give one month of paid deal emails for anyone who can sign-up five friends. If people are on your list and they’re already paying for your service, they can be some of your best marketers for a long time to come if you truly take care of them. And if anyone finds a cheap 458 Spyder available in Asia, please do send me the deal. Thank you, as always, for reading. It means more to me than you’ll ever believe. I can’t wait to send you niche idea #9 before Christmas so stay tuned for that! He has even offered to help anyone who is interested in setting up this kind of site and wants more details. You can email gath@iwantthatflight.com.au for more information. Thanks to reader Mary I was able to find another great site following a similar model in the airline niche, AmazingAirfare.net. They also went into huge detail on what they’re doing and how they’re doing it on their Reddit AMA, found here. Mary tells me that the last she heard, the site was doing $7,000/m in revenue which is very impressive. “You mention that we should find 20 deals before we start, and prepare emails for the free list in advance. I guess I’m wondering – how can we prepare deals for our list in advance if most of these deals are time sensitive? It seems like most sites that most of the sources only have the deals up for a short period of time before they’re pulled down. The idea behind getting twenty deals was really just to make sure that you can find enough deals that your plans could result in a viable venture. Don’t worry if the ones you find now aren’t going to be ones you email. You don’t need twenty before starting the list, just if you can’t find that many, you’re not going to last very long and you’ll have a lot of angry paid subscribers. It looks like the creator of CheapShark did an AMA, which you can find here.